​"We don’t always do things the way we’ve always done them.” That was never more true than on November 6, when we combined our All Saints Sunday celebration with Consecration Sunday. Thanks to your good will, and lots of preparation by the Vestry and committee, we seemed to celebrate both occasions admirably. We sang the great hymns of All Saints, the choir provided two moving anthems, and we claimed our abiding fellowship with parish saints who died in the past twelve months. In her sermon, our guest preacher, the Rev. Ann Broomell, inspired us to embrace the faithfulness of those who have gone before, and to take to heart God’s call to us to respond to God’s love with our financial substance. As the service concluded, Ann offered the consecration prayer, “Estimate of Giving Cards” were distributed, and we placed our completed cards on the altar as we moved into the parish hall for our Celebration lunch. By the end of the lunch, we had received 54 estimates, including nine from first-time participants! In one morning, we were over half-way to matching the pledges for the current year! Special thanks go to Senior Warden Pat Daunic for shepherding the Consecration Sunday program from first to last. Thanks also to Lisa Ste. Marie for organizing the Celebration lunch prepared by Debbie & Antonio Greco’s La Rossticeria. Diane Link creatively dressed the tables, and the Sunday School colored a Consecration Sunday banner. Other committee members -- Bill Cuddy, Carol Iovanna, Jen McShane, Kay Claiborn, and Susan Leonard, supported by Vestry members and other willing hands -- helped with the mailings, talks, charts, calls, and set-up and clean-up. Thanks to one and all! On Monday, November 7, letters with Estimate-of-Giving cards were mailed to those who were unable to participate in Consecration Sunday. So, every household should have received an “Estimate of Giving card” during worship or in the mail. If for some reason you need a card, please pick one up from the ushers’ table or call the parish office. However you receive(d) one, please return your Estimate-of-Giving Card as soon as you can. As of the posting of this article, we have received giving estimates from two-thirds of our active households; your rate of return is terrific! I am so grateful! Our shared life and witness in 2017 depends upon our collective response to God’s call to us. N.B. : Vestry member Don Pogue was part of the Consecration Sunday team. Following his untimely death on October 26, we missed him, and his help and wisdom. May he rest in peace and rise in glory! On Monday, November 14, Junior Warden Susan Shackford, Bobbi Stuart, and I traveled to the Archives of the Episcopal Church in Connecticut at The Commons in Meridan. Our quest: to look for plans, drawings, and/or descriptions of our church building. Diocesan Archivist Margaret B. Smith greeted us with box after box of papers pulled from the climate-controlled archives. 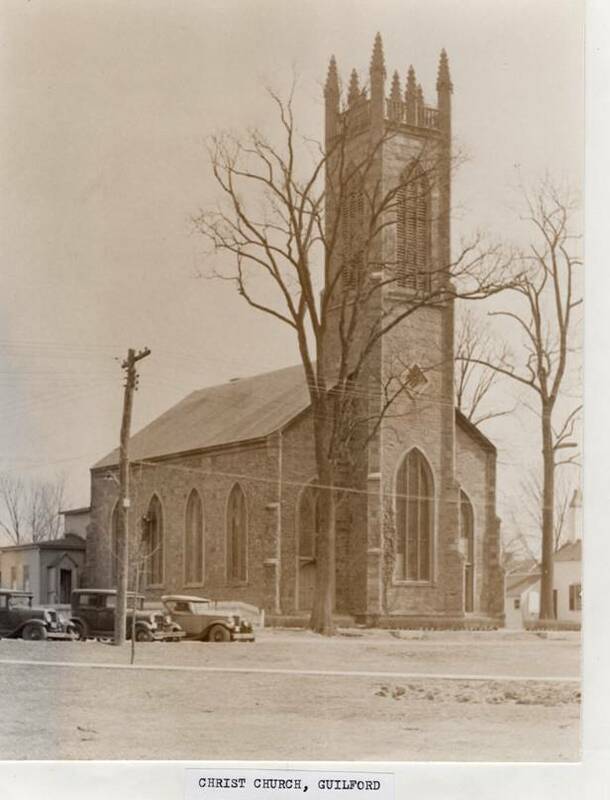 · A few pictures of the church none of us had seen before, including this one. Note the taller, more elaborate pinnacles atop the tower! What other differences can you see? What inspired us to take a Monday trip to these artifacts from our parish’s distant past? We were looking for materials that might be helpful in developing an application to the Connecticut Trust for Historic Preservation, for a matching grant to enable the maintenance and repair of our historic building. As you may recall, the success of our “Opening the Doors” capital campaign allowed us to address needs beyond the original scope of the campaign -- such as re-painting the church building’s wooden trim reachable by a ladder. However, the soffit and tower trim (i.e., shutters, window, and railing at the very top) could not be included. In your Vestry’s search for means of completing this work, Bobbi Stuart has undertaken the development of a grant application. Following the successful outcome of our Second Annual All-Church Tag Sale, the Evening ECW has continued its efforts to raise money to start Phase 1 of the Parish Hall remodeling project. With the help of some wonderful donations, we're getting really close to what we need to kick off the project, and we expect some exciting developments in the early part of 2017! The second weekend of November saw our second bread and cookie dough sale, which was generously supported by our parish. Next year we will be sure to have much more cookie dough on hand, as this seems greatly appreciated by holiday cookie-bakers. Our next meeting is on Thursday, December 8 (we have moved it for December only in consideration of the December 2 Chili Supper). Our meetings run from 7 p.m. to 8 p.m. sharp, and all women of the parish are most warmly encouraged to attend. Blessings to our Christ Church Family! We invite your families and children to be involved with our Sunday School program. Each Sunday from 9:30 -10:00 a.m., children grades K - 5 are invited to "Chapel Time with Laurie" in the 4th and 5th grade classroom. We introduce the Bible story for that particular Sunday and will begin working on ornaments for the Chrismas tree, which will be displayed in the Parish Hall. At 10:00 a.m., children go to their grade - appropriate Sunday School classrooms. Each Sunday at 10:30 a.m., we meet with Mr. Sullivan and begin practicing our Christmas music for the Christmas Eve pageant. Mark your calendars for our Christmas Eve pageant dress rehearsal on Christmas Eve at 10 a.m. and our pageant beginning at 4:30 p.m. that afternoon. Our nursery is staffed each Sunday by Abbie Vander Wyden. Abbie is a senior in high school, babysits for many Guilford families, and is also first aid trained. Christ Church Tree-Lighting Events: Chili Supper, Cookie & Wreath Sales, sFOURzando Piano Extravaganza! Friday, December 2, 5-7 p.m.; Concert at 7:30 p.m.
Chili Supper -- Warm your family and invite friends and neighbors with delicious chili prepared to your preferred degree of hotness -- con carne and vegetarian. Please be in touch with Jennifer Huebner about helping with set-up, cooking, serving, baking cornbread, and clean-up. Cookie Sale -- for dessert this year, Chili Supper patrons will be directed to the bounty of cookies and other holiday treats at the ECW’s sale table. Please consider baking your homemade favorites and donating them on Thursday or Friday, December 1 or 2. Wreath Sale -- who knows, the Middle School youth might still have a few wreaths that have not been pre-sold! Check out their handiwork in the rectory garage, and get a cup of hot chocolate while you browse! sFOURzando Piano Extravaganza -- Be delighted as two-to-four people, four-to-eight hands, perform favorites from this entertaining repertoire on the nave’s Steinway! Before radio and television, before vinyl and digital recordings, folks entertained at home by gathering around the piano! We’ll gather with Vicky Reeve and three friends for a lot of fun! Proceeds from the Chili Supper and Concert will support Guilford Interfaith Volunteers’ Meals-on-Wheels, making sure our neighbors have a hot meal. · Celebrated the success of the September 24 Tag Sale! Since the Parish Bylaws require the Vestry to meet only 11 times a year, and having met monthly through October, the Vestry did not meet in November. 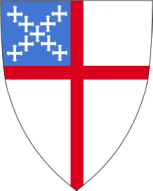 The Vestry will meet next on Wednesday, December 14. Our regular ECW meeting was held on Thursday, November 10, at 11 a.m. in the Guild Room. We enjoyed a plentiful carry-in luncheon at 12 noon. We did not hold a formal business meeting, but we discussed plans for our upcoming events, cheese sale, cookie sale at the annual Chili Supper, and our annual Christmas Luncheon. ​While discussing these projects, we put the final touches on the 100+ cheese spread containers. The cheese spread and assorted cheese spreaders were sold on Sunday, November 13, and the remaining supply will be available at all Sunday coffee hours after the 10 a.m. services, as well as the Chili Supper.We also discussed the upcoming cookie sale during the Chili Supper. We request that the entire parish help us again this year by baking their favorite cookie recipes for us to sell on December 2. They may be dropped off Thursday, December 1, in the Guild Room or Friday, December 2. The proceeds from this project help us to present a scholarship to a graduating Christ Episcopal Church high school student. Finally, we discussed our annual Christmas Luncheon. We will meet at the Maritime Grill, Thursday, December 8, at 12 noon. The cost has remained the same as previous luncheons, $25 per person, for a complete dinner, including tax and gratuity. All meals start with your choice of a cup of clam chowder or a side salad. Entree choices are: Roast Beef Dinner, Chicken Francaise, Stuffed Scallops, Grilled Salmon, Caesar Salad with choice of Grilled Shrimp, Chicken, or Steak, and Cup of Chowder, Deli Sandwich with French Fries and Cole Slaw, Choice of Roast Beef or Roast Turkey and Side Salad or Cup of Chowder. All meals come with dessert, coffee, or tea. Please look for order forms on the table in the back of the church, or on the table under the window next to the bathroom in the parish hall.We will also have our FUN exchange gift game, so bring a $5 wrapped gift to join in the fun. All are welcome to join us. R.S.V.P. by Sunday, December 4, to Diane W. Link at (203) 458-1806. We would like to thank you all for your continued support of all our projects, especially our cookie sale, roses for Mom/Mommy, and especially the socks and underwear for the homeless. We have collected several dozen pairs of socks and sets of underwear that have been delivered tothe homeless men, women, and children in this area. We especially want to thank Lee Hubbard for delivering them to those less fortunate. A Big THANK YOU, LEE! Please continue your generous donations, especially now as winter approaches and these items are much needed. us. Please note that there will not be a meeting on Thursday, November 24 or December 1. We will resume our meetings on January 5, 2017. All of us in our ECW wish you and yours a very blessed Christmas, and peace, good health, and happiness in the New Year. This year we have decided to devote our "Mitten Tree" to the homeless of New Haven. We will donate items via "Chapel on the Green," so that they can help the many homeless people that attend their Sunday service and receive free lunch (Christ Church is involved in this program). The items that they are requesting are small things, items that you can easily pick up during your holiday shopping, many you may even have on hand, and some you can prepare while making your own holiday treats. These items will mean a lot to those who are less fortunate during this holiday season. Here is the list of items, should you like to contribute -- just put them on or under our Mitten Tree (which will be up and waiting on Sunday, November 27). Let’s help warm the hearts of those less fortunate and "Fill Our Tree!!"